Hurricane Michael is on track to smack the US Gulf Coast on Wednesday and because of that many are doing what they can to prepare. Bracing for this monster is not going to be easy but will be crucial. Michael has been gaining strength and is supposed to continue doing so as time passes. Florida Gov. Rick Scott has called Michael a monstrous hurricane and says that there is a lot of potential for devastation from the winds and storms to come. A state of emergency was declared for quite a few counties and those nearest the coast are being encouraged to evacuate. Hurricane Michael will continue to intensify and is forecast to strike the Florida Panhandle as a Category 3 with dangerous storm surge flooding, destructive winds, and flooding rainfall. Michael will also bring heavy rain and strong winds to other parts of the southeastern United States after it moves inland. 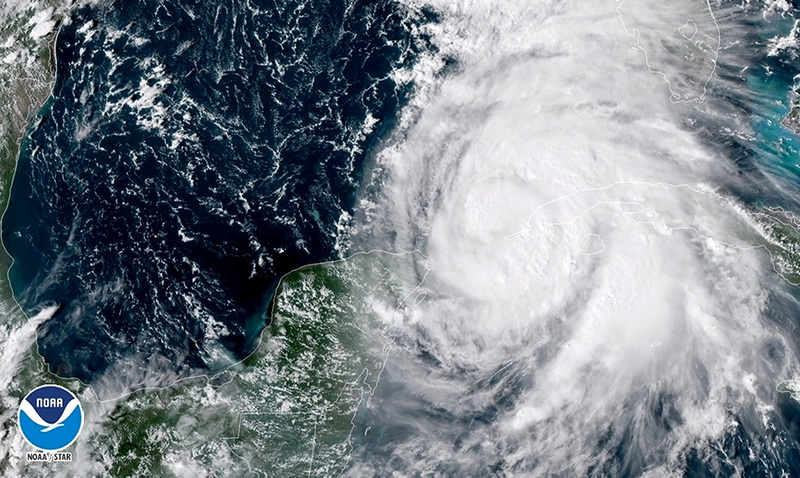 “Michael could develop into a potentially catastrophic event for the northeastern Gulf Coast,” the National Weather Service office in Tallahassee, Florida, wrote in its area forecast discussion Monday afternoon. Michael is currently centered about 485 miles south of Panama City, Florida, and is moving northward. Outer rainbands from Michael are already soaking the Florida Keys, and rainfall totals of 2 to 4 inches are likely there through Tuesday. A few localized spots in the Keys could see up to 6 inches of rain. A wind gust to 55 mph was measured at the NWS office in Key West, Florida, late Monday afternoon in association with Hurricane Michael’s outer rainbands. Michael rapidly intensified from 11 a.m. EDT Sunday to 11 a.m. EDT Monday, when its winds increased from 35 mph to 75 mph during that 24-hour period. Landfall is expected somewhere between the Florida Panhandle and the Big Bend of Florida sometime Wednesday or into Wednesday night. Landfall could even come as early as late Tuesday night, we do not know just yet. If you are in an area that might be affected please be safe and do what is best for you and your family (pets included). For more information on this please check out the video below. Hurricane season is operating full blast and this isn’t going to be the last of it.